Block what you can’t patch. See how application control can improve your multi-layered security strategy. Secure your desktops immediately. And get more out of SCCM. Improve application security more easily with dynamic application whitelisting and granular privilege management. Keep unauthorised apps at bay. 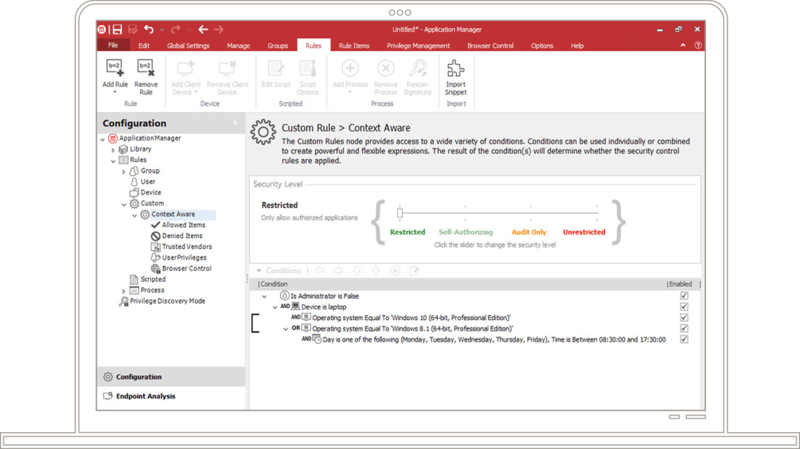 Ivanti Application Control reduces your endpoint security risks, while adding extra value to Microsoft System Centre Configuration Manager (SCCM). You can use the tool you know well to help ensure users can’t execute unknown apps in your environment. Configure and deploy desktop security configurations via SCCM to protect endpoints. And use System Centre Operation Manager (SCOM Management) to gather Application Control events and auditing details. Save users from themselves, and keep the business moving. Help ensure unknown code and apps end users introduce are automatically prevented from launching. And do it without interfering with the work they need to get done. Scalable and context-aware features allow you to do more with less. Easily control the authorised apps a user can execute based on context, such as location, time of day, and device type. Comply with software licencing agreements. Give users exactly the amount of access they need to do their jobs—no more, no less. 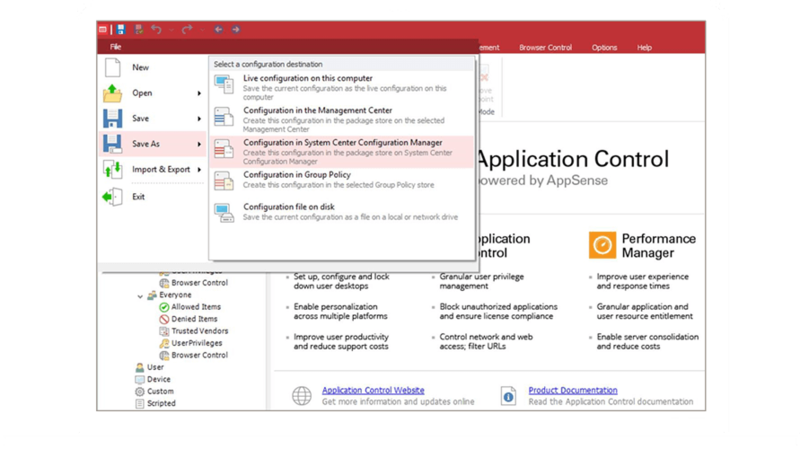 With Ivanti Application Control you can enforce application policies "out of the box." Give users access to the apps they need based on role, location, and other criteria. Remove admin rights without users calling the help desk or resorting to shadow IT. Granular, policy-based application control, integrated with SCCM. You need to control the apps running on your endpoints—without affecting productivity or overburdening IT. We’ve got a solution to do just that. Maintain close alignment with the trusted, gold-built state on desktops, even as users instal applications and customise their workspaces. Ensure that only applications introduced by authorised administrators or systems can run in your environment. Reduce the time it takes to implement configurations. Deploy them seamlessly from SCCM. Help ensure that individual users are in compliance with application licence agreements. Get your users what they need fast with an engine that relies on context-aware policies.